Attending church every week is a crucial part of a child’s spiritual foundation, but what your child does outside of the church is even more important. Things, like reading the Bible, memorizing Scripture, inviting friends to church, and applying the teaching to their daily life, are all ways a child grows closer to Christ. We want to partner with you as you lead your child to do these things throughout the week. 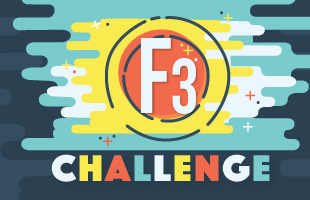 That’s where F3 Challenge – Fun, Faith & Family comes in! Find out more here!